A well disciplined and trained dog is equivalent to having a happier and healthier dog. You may probably ask, why? It is believed that training a dog resolves some behavioral problems. Aside from understanding your Fido’s vital needs such as food, shelter, preventive measures for diseases like dog ear infection or skin allergies, and regular vet consultation, dogs need to learn basic obedience from you. Dog training will not only give a pet owner a peace of mind but also boost the dog’s mental stimulation so that they can be less stressful and much happier. According to a survey, only less than 5% of dog owners attend a training class. Your main responsibility as a master is to mold your Fido to become a well-behaved companion in whatever situation. Thus, you need to teach your dog essential commands or actions that are beneficial to make them more active and keep them safe from harm. Let’s identify some of the basic commands you can teach to your dogs. The very first thing you need to teach your dog is to know his or her name. It should come first as you will address your dogs in whatever they do through their names. You know that your dog responds well when he or she looks at you whenever you call his or her name. As part of the training, make sure to reward them by praising or giving a treat. 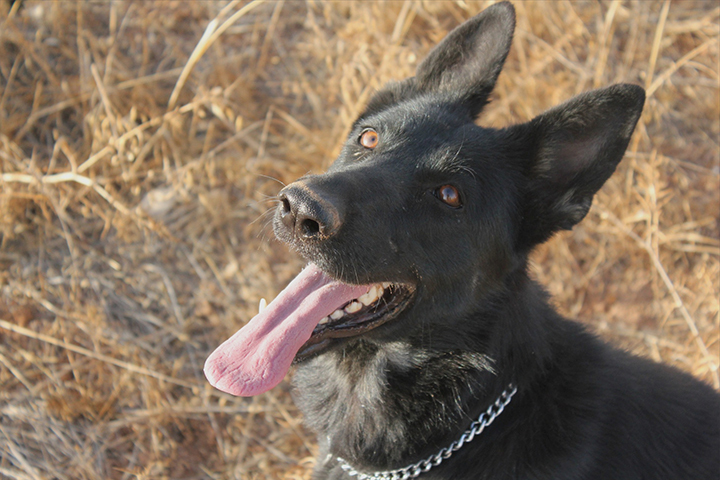 To get attention, you should know how your dog responds to a “look” or “watch me” command. This action is normally a bridge to teach your dogs other commands. To perfectly execute this action, offer your dog a treat then move your hand to his or her nose towards your face. Give the “watch me” command when you all have your dog’s attention. Make sure to establish eye contact as well. The “come” command is a helpful exercise to protect your Fido from getting into trouble. Start by putting dog collar and leash. In a specific distance away from your dog, say “come” while carefully pulling the leash towards you. As the dog comes to you, it is important to reward him or her with a treat. Practice this activity repeatedly in an enclosed and safe area. This activity is a combination of “sit” and “stay” command. You need to teach your dog first to sit which is quite basic to do. Start by offering a treat close to your dog’s nose. Gently move up your hand, so your dog’s head will follow the direction of your hand holding a treat while putting him or her in a natural sitting position. This is the time where you need to say “sit.” Reward your dog and repeat the exercise. Once your dog learned the “sit” command, combine this with “stay” command. When your dog already assumes a sitting position, start to open the palm of your hand, then say “stay.” Give your dog a treat or affection. Repeat the exercise. Gradually move steps away from your dog and give the “stay” command. The goal of the “sit-stay” command is to calm your dogs and manage their behavior. The “down” command is also beneficial in resolving dog’s behavioral problems. This exercise is very common to calm down a hyper-energetic or excited dog. It is quite challenging as it puts your dog in a submissive position. To execute this command, start by finding a better smelling treat for your dog. 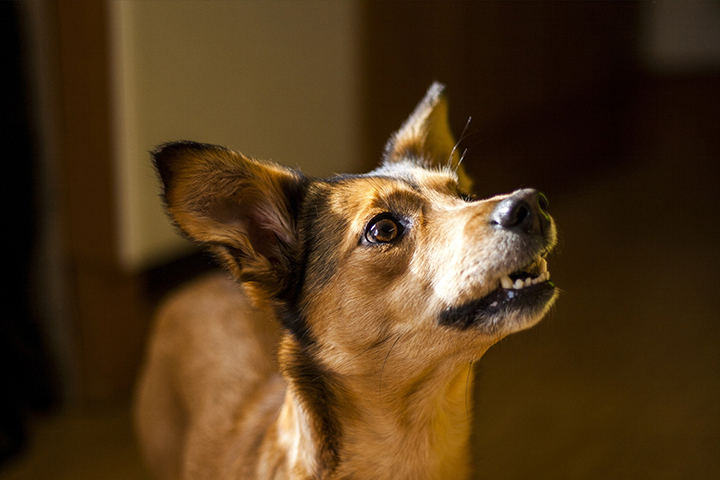 Holding the treat with a closed hand, move it closer to your Fido’s nose. Allow him or her to sniff it then gradually move your hand to the floor, so your dog will eventually follow. Slide your hand along the floor to encourage his or her body to follow the food until he or she assumes a lying down position. Once your dog is in the down position, give the “down” command. Give your Fido a treat or praise. Do this command repeatedly until your dog has perfected the exercise. You don’t like your dogs to eat something accidentally and put them in danger. That is why a “no” or “leave it” command is amazingly essential. To teach your dog this command, start by holding some treat on both hands. Move the first hand closed towards your dog face, so he or she can sniff, lick or bark at it. Give the “leave it” command. If the dog is trying to get it, then ignore his or her behavior. When your Fido loses interest, that’s the time to give the treat from the other hand. Make sure to repeat this exercise until your dog finds no interest in the first object (or treat) when he or she hears the “leave it” command. If you want your dogs to take away anything they grab easily, train them the “take it” and “drop it” commands. Say “take it” from the moment that your dog is willing to catch a thing and open his or her mouth. Allow him or her to play with it, then gradually introduce the second object which is a duplicate of the first one. Since it gives the same value to your dog, it will provoke him or her to grab the second object. By the time your Fido drops the first one, say the “drop it” command. Give the command “take it” when your dog opens his or her mouth and catches the second object. Repeat this command until your dog has perfected it. The “heel” command teaches the dog to behave properly when he or she is beside you. To execute this command, hold the leash of your dog with your right hand. Using your left hand, guide your dog while walking and commanding him or her to sit. Hold the treat with your left hand and say the “heel” command. Each time you move or make a few steps, guide your dog while keeping the treat by your side. Walk forward with your dog and start giving praise or reward him or her with a treat. The “wait” command is helpful when teaching a dog to stop or don’t move until you say so. This command signals your dog not to run away in public places but wait in front of the closed door or outside the car instead. By doing this exercise, say “sit” command while your dog is in front of the closed door or a car. Point your fingers upward and open the palm of your hand, then give the “wait” command. Repeat this activity until he masters it. In teaching your dog a “stand” command, start by instructing him to “sit.” Hold a treat in your hand then move it closer to your Fido’s nose forward and down. As the dog follows the direction of the treat, gently move forward your hand with a treat until the dog assumes a standing position. Once the dog is already in standing position, give the “stand” command and reward him or her with a treat. Practice this exercise with your dog repeatedly. Based on 2017-2018 APPA National Pet Owner Survey, there are 89.7 million pet dogs owned in the US while approximately $69.51 billions are spent on our pets for the year 2017 alone. We don’t want this amount of money wasted because of irresponsible pet ownership, so you need to ensure your dog’s health and safety. On top of their basic needs, you should also make sure that your canine companion is trained correctly and well-behaved. In this way, your Fido can be a pleasant company at all times. Author Bio: Maria Harutyunian is the PR team lead at Vet Organics. She writes about dogs and pets, in general, to help pet owners like her take better care of their furry family members. She loves pets and believes that all the organic remedies offered by Vet Organics are vital for keeping up your pet's health.